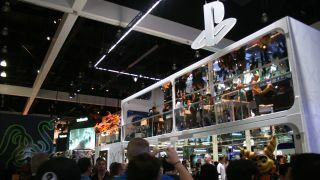 Sony's E3 2012 has come and gone. And, there were many things that were presented but with no hardware announcement and no official price cuts on the horizon, the stars of the show were the brand new IPs Sony had to offer. Here are our top five moments from the Sony E3 press conference. This is a brand new game brought to you by Quantic Dream Studios, the creators of the best-selling game Heavy Rain. The style and look of the game is reminiscent of Heavy Rain at a glace. And, everything happens in real time in the game. Beyond follows the main character, Jodie Holmes (voiced by Academy award winner, Ellen Paige). Players will get a chance to grow, learn and fully immerse themselves in the life of Jodie in this thriller of a game. Wonderbook is a new IP from Sony. It utilizes augmented reality and an actual physical book-like interface, and the PlayStation Move. Wonderbook's first official title is Book of Spells. Sony tapped world-renowned author, J.K. Rowling, of "Harry Potter" fame, for this first title. Book of Spells features new story lines that revolve around the Harry Potter universe. Players will be able to waive the PS Move controller like a wand and perform spells as if if they were students at Hogwarts. This is a brand new game brought to you by the amazing Naughty Dog, creators of the Uncharted franchise. Last of Us has everything you'd expect from Naughty Dog, action, adventure, suspense, violence, blood and gore. The game left everyone speechless, followed by loud cheers. Sony also debuted the Cross-Play functionality. PS3 and PS Vita cross-play allows you to play with three friends either on the Vita, a console, or both. There were a number of game titles announced that utilize the Cross-Play functionality, giving gamers more options to socialize and game with friends at home or on the go. Formerly known as PlayStation Suite, PlayStation Mobile is for open platforms and brings the PlayStation experience to Android smartphones and tablets. Owners of the PS Vita can now look forward to enjoying the huge catalog of classic PS One games. Gamers can enjoy old favorites such as Tomb Raider and Final Fantasy 7.